The role of the Tour Motorcoach Driver is to provide safe transportation for guests and their luggage throughout the interior of Alaska. Tour Motorcoach Drivers are responsible for all aspects involving the operation of the motorcoach. Tour Motorcoach Drivers share the responsibility with the Tour Director of ensuring a safe, fun, and informative tour experience for guests traveling to Alaska. 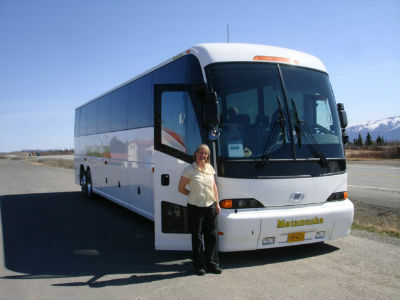 Tour Motorcoach Drivers also have the responsibility to provide safe and on-time transportation for guests arriving and departing the Fairbanks International Airport.